Roll with us and earn unlimited 5% Cash Back on your purchase at any of our locations. Want to sweeten the deal? 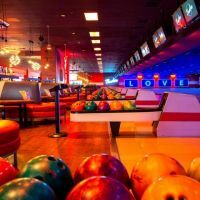 Sign up for our MVB (Most Valuable Bowler) loyalty program and earn a $5 reward for every $50 you spend on bowling and shoe rental! Roll with us and earn unlimited 5% Cash Back on your purchase at any of our locations! Want to sweeten the deal? Sign up for our MVB CouponSurfer Rewards members get 5% cash back in-store. Just Click to Activate Offer. Find a Bowlero Bowling Alley near you.